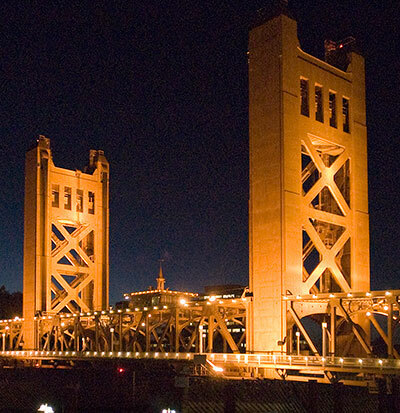 The Streamline Moderne Tower Bridge was the only vertical lift span bridge in California when it opened in 1936. 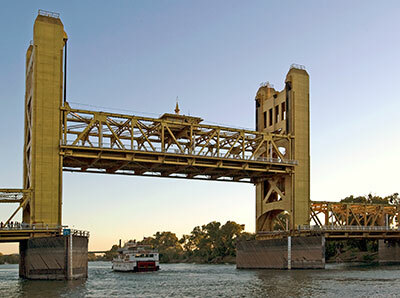 As constructed, the Tower Bridge contained two lanes for traffic, two sidewalks for pedestrians, and railroad tracks for the Sacramento Northern Railway. When the Sacramento Northern Railway moved to the I Street Bridge In 1963, the tracks were replaced with automobile lanes.